There’s nothing quite like the release of tension in a heavy, driving beat. Music has the capacity to be both physical and emotional fuel, and it is when those two distinct elements collide that we experience the full potential of aural stimuli. Tree Machines’ latest single “Weights and Stones” is overwhelmingly intense and powerfully evocative: The coming-of-age moment for an on-the-rise indie band hits the sweet spot hard, inviting listeners to dive into the deep end of life as Tree Machines explore the intersection of grit, darkness, and turmoil. He’s walking out. It’s all right. He’s waiting for a quick ride. He stumbles out in a cold night. His whole body shakes and moans. Held down by weights and stones. Wade through the snow and make it on home. This beat’s got you feeling all right. Atwood Magazine is proud to be premiering “Weights and Stones,” the second single off Tree Machines’ upcoming debut album Up For Air (expected 2017 via the band’s own Man in the Machine). Consisting of Douglas Wooldridge and Patrick Aubry, Tree Machines was founded in 2015 in Lawrence, Kansas. 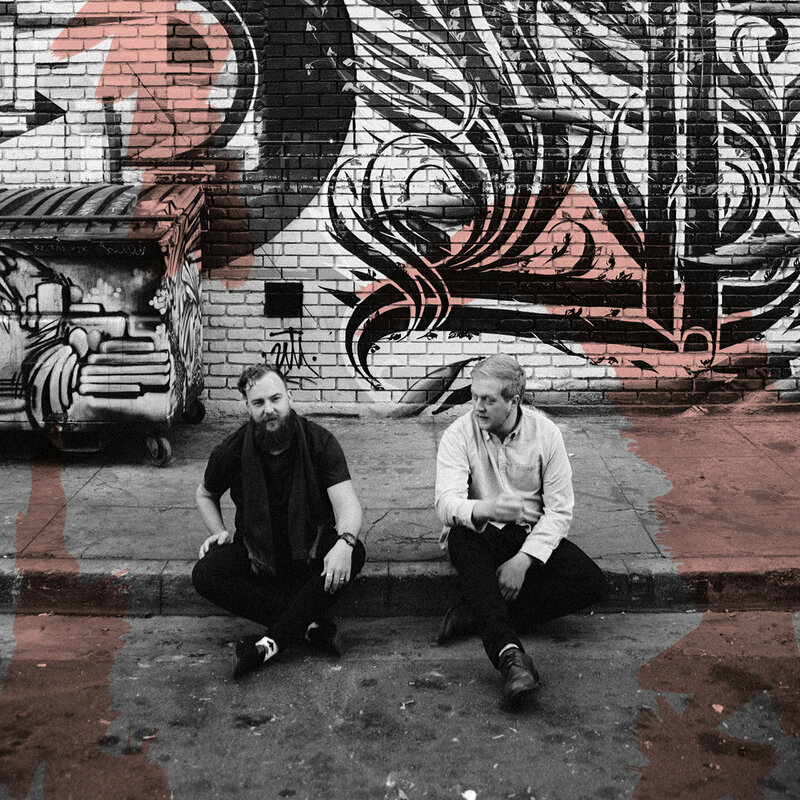 After experiencing a musical disconnect in their former band, Sobriquet, the duo set off on their own and quickly took their talents westward, resettling in Los Angeles and doubling down on music. 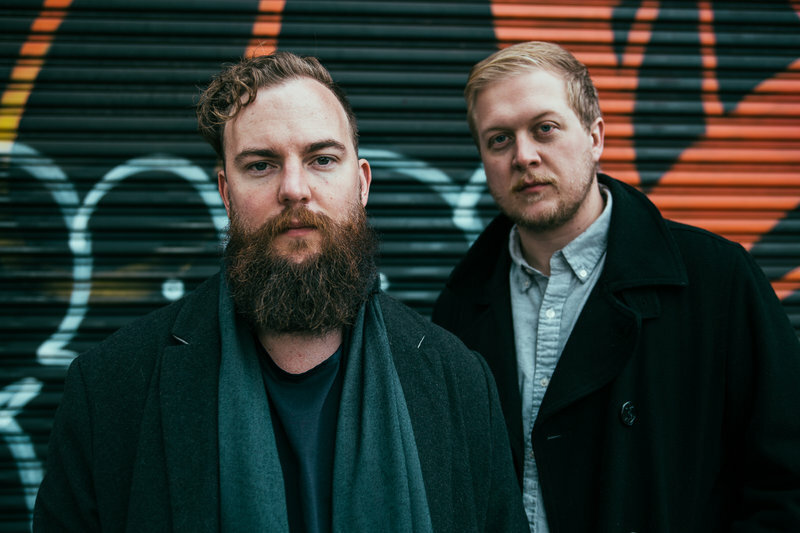 2015’s Tree Machines EP blended dark alternative and indie rock influences with lyrics that indicated an innate desire of the band to dig deeper into themselves. Two years later, it would seem they’ve struck gold. “I think ‘Weights and Stones’ is [our] official ‘hello,’” remarks Tree Machines’ Patrick Aubry of their newest single. “It’s us finally taking off the jacket and getting comfortable.” Patience and persistence are about to pay off for Tree Machines: “Weights and Stones” captures that highly sought-after, captivating energy – the it factor, if you will. Synthesized arpeggios cascade upwards in the intro, setting a slightly ominous tone while injecting energy in anticipation of what is to come. Weights. Stones. Pulling you down. Weights. Stones. Holding you down. She’s waiting for the right time. She stumbles out in a cold night. Her whole body shakes and moans. Wade through the snow and let it all go. Weights. Stones. Wooldridge’s words hang in the air as he unleashes them on the world, filling the soundspace with raw feeling that comes from a deep, dark void within. For all its electronics and mechanics, “Weights and Stones” is viciously human: Propelled forward by an invisible force, it tears at the very foundations of our resilient nature in a spirited embrace of unrelenting endurance. Our world is constantly changing – we live second-to-second, rather than day-by-day. Tree Machines’ “Weights and Stones” ignites our own individual drive, speaking to anyone and everyone who has climbed that mountain, crossed that river, and kept going – no matter what obstacles, weights and stones laid in their path.